Your Lake Winnebago Dishwasher Plumbing in need of service? Since 1985, Kevin Ginnings Plumbing Service Inc. has been installing and repairing dishwashers in Lake Winnebago Missouri. We’re happy to service Lake Winnebago dishwashers, and there’s no place we would rather do business. Whatever your dishwasher’s problem, whether a food disposal stoppage or a broken water-inlet valve, we waste no time in pinpointing the problem and solving it on the spot. Kevin Ginnings Plumbing Service Inc.’s years of expertise mean that we’ve seen every dishwasher problem in the book. We’re confident that we can repair any dishwasher in Lake Winnebago. If your Lake Winnebago dishwasher isn’t getting the job done, it might be because it’s washing your dishes with dirty water from the sink. This is because water from the sink and dishwasher all goes through the same drain. If this drain becomes clogged, backed up water from the sink will start finding its way into the dishwasher. Call Kevin Ginnings Plumbing Service Inc. anytime to avoid the backup of dirty water into your Lake Winnebago dishwasher. With the hectic lives we lead in Lake Winnebago, the last thing you need is a broken dishwasher. Those dishes can pile up in your sink, leaving you with just another mess to clean up. That’s why Kevin Ginnings Plumbing Service Inc. is always available to work on dishwashers in Lake Winnebago, night or day. As soon as your dishwasher starts acting up, call us at (816) 832-4322 and let us fix the problem before it becomes too much to handle! Call (816) 832-4322 any time for a free quote. 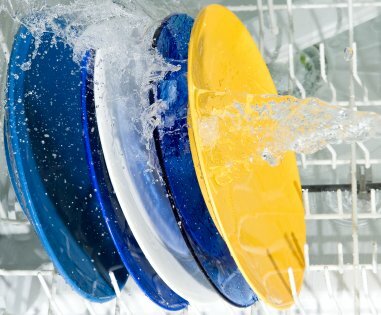 Find out why we’re the go-to Lake Winnebago Missouri dishwasher experts!